Click here to listen to our previous guests. Click here to listen live and information on upcoming shows! 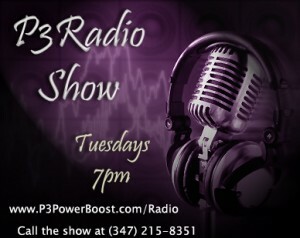 Every Tuesday night, we are excited to bring you the P3 Power Boost Radio Show which focuses on a revolutionary new way of personal, business and executive coaching founded by women for women! Our bold vision for the world is: Every woman lives a life of power, passion and dreams come true. We’re wives, mothers, entrepreneurs, and career women that are stimulating, straightforward and astonishingly effective in our message. Unlike a judgmental relative or a jaded friend, our radio show is for you to access your personal power, find your passion, and develop a life of purpose to realize your dreams. Join in on our talk show where women engage in a topical conversation that is like no other! We focus on a defined topic, but give you the feeling that you’re chatting with your girlfriends over dinner! Women who want to participate in this to keep their vision in existence can call into the P3 Power Boost radio show at (347) 215-8351 or tune in by visiting www.TheP3Group.com/P3Radio . Our show is based on the The P3 Circles of Life; The Spiritual Self, Physical Self and the Emotional Self. The merging of the three gives women access to the truest expression of oneself! We focus on the obstacles and road blocks, and begin to identify what is truly at the core of one’s idea of woman. We rewrite the book of our lives and create a whole new world of womanhood. 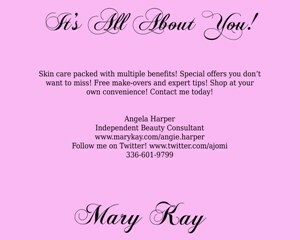 If you have any questions or would like to be on our show contact our office.